Laguna’s personal chefs take the work out of holiday meals by serving up convenient, tasty and nutritious dishes. With today’s hectic lifestyles, not to mention the ever-increasing rate of food allergies and special dietary restrictions such as needing low-sodium, sugar-free or gluten-free meals, a personal chef could be the perfect solution for many harried home cooks who feel stuck in a rut or want to put something special on the table this holiday season. Convenience and healthy eating are a few advantages of hiring a personal chef—whether every day or just for the holidays; another perk is the chunk of newfound time not spent planning a meal, shopping for ingredients and slaving over a hot stove. A personal chef not only prepares tasty and nutritious dishes to meet your preferences, but also eliminates the guesswork of deciding what to consume on a daily basis. 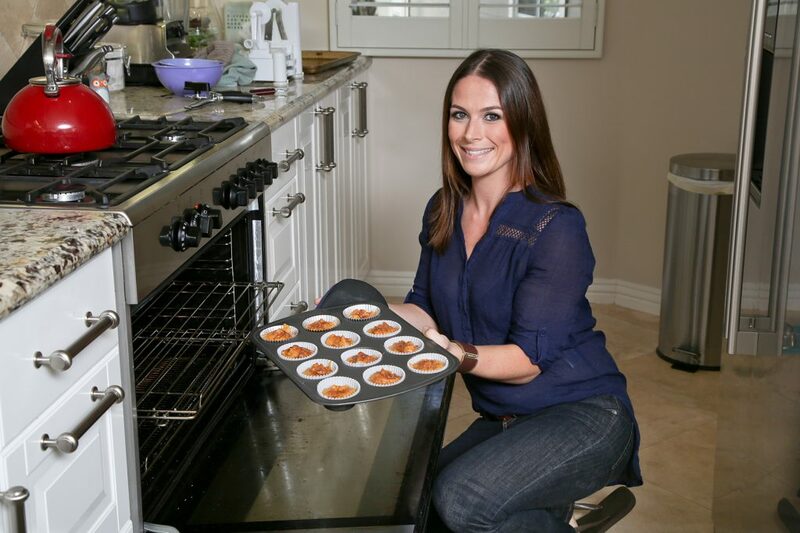 “The biggest benefit for my clients is the convenience of always having a delicious, healthy meal or snack on hand no matter how busy their day gets,” says Nicole Hellendoorn of Laguna’s California Paleo Kitchens, which focuses on the mostly meat-and-veggie Paleolithic diet—like cavemen ate. Evan Lewis of Evan’s Gourmet, also in Laguna Beach, agrees that the benefits stack up when hiring a private chef. “You’ll have more time to do what you want and you’ll be able to enjoy eating healthy whole foods that are unprocessed,” she says. Like most personal chefs, Evan starts by finding out her clients’ likes, dislikes, allergies or intolerances before crafting a custom meal plan. Nicole also considers a client’s health and fitness goals while Kim Wilson of Laguna Beach-based Pinkiwi Culinary Productions often adds favorite types of food and go-to restaurants to the list. In addition to meal preparation, Nicole Hellendoorn provides grocery shopping and cooking lessons for her clients. Whether cooking for an individual, family or a big party, personal chefs tailor the menu to their clients’ desires with delicious results. Kim recently planned a fun, medieval-themed dinner party that featured a vast spread and a menu that boasted five different appetizers, including “quail pops,” tiny quail drumsticks roasted to perfection, and a salad with Bosc pears, Gorgonzola cheese, honey-roasted pecans and raspberry vinaigrette. A trio of petite pies (apple, blueberry and peach with Chantilly cream) and a small flourless chocolate cake with dark ale buttercream for a gluten-free guest completed the merry feast. With every job, personal chefs take on the task of creating a perfect menu. “… It is a lot of hard work,” Nicole says. “Cooking tons of entrees at the same time day in and day out can be very physically and mentally demanding—not for the faint of heart.” Nicole shares one particularly daunting assignment: She was asked to execute a simple, barbecue-style buffet for a client, who then changed his mind and requested a tasting menu instead. Planning and executing flawless dinner parties comes with the territory of being a personal chef, and there are always obstacles, but these experts know how to navigate even the biggest hurdles with finesse. Evan, who started working in restaurants as a teen, catering for other companies at 21 and building her own business in 1993, shares one near-disaster that was skillfully diverted at a 50th birthday dinner she planned with a “martini luge” ice sculpture. “The day of the event, I received a phone call from the ‘ice man’ that he had an accident and the sculpture fell out of the truck and shattered,” Evan says. “I was able to get a new sculpture delivered before guests showed up, but we discovered there was a leak in the hose that drains the melting ice, so it was melting over the counter and we were wringing towels out to keep it from flooding the kitchen island. “After dinner, we needed to decide what to do with the melting sculpture,” she continues. “It wouldn’t fit in the sink, so the host and his buddies decided it was ‘to the pool.’ It was a funny sight to see the men dressed for a dinner party carrying a giant ice block to the pool and, at the same time, it was a memorable ending to a fabulous dinner party,” she says. When putting together large events, anything can happen—from vendor and rental mishaps to a venue having too little workspace. “The trick is to make it seamless for the host and guests, and I have mastered that over the years,” says Evan, who offers full-service catering for weddings, formal dinners and cocktail parties of any size, complete with servers, bartenders, kitchen prep, rentals and party planning. Besides the unrivaled benefit of having someone else take care of logistics and prepare scrumptious, healthy meals for your party or daily dinner, many personal chefs also offer special services such as cooking classes or grocery shopping. Kim provides cooking lessons to individuals or small groups and finds fulfillment when passing on her culinary knowledge to others. 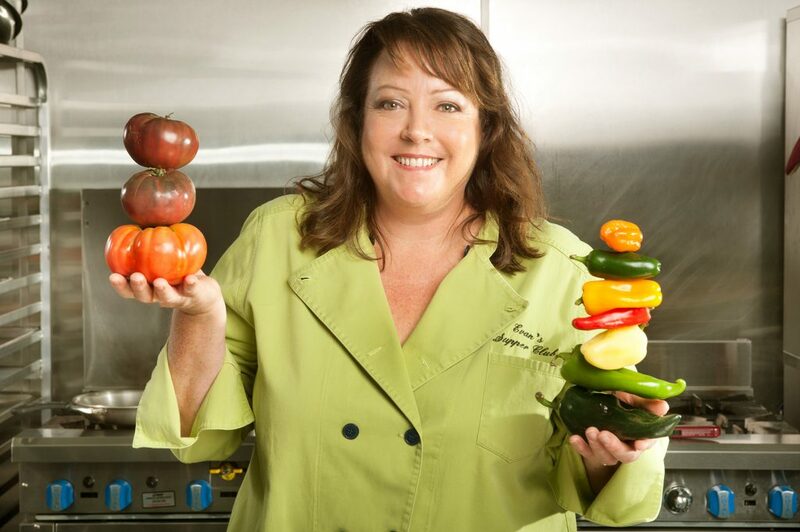 Kim Wilson of Pinkiwi Culinary Productions prepares daily meals, plans dinner parties and offers cooking classes. “I love what I do for a living and that is a great feeling,” says Kim, who knew she wanted to be a private chef while in culinary school, but worked at many acclaimed restaurants—including former Laguna eateries Hush, Katsuya and French 75 Bistro & Champagne Bar, as well as Charlie Palmer at South Coast Plaza and The Cellar in San Clemente—before starting her own business. When not making meals for clients, she loves to share real-life tips for daily cooking, healthy ideas for a client’s family and also provide them with simple recipes. Above all, Kim likes to show people that cooking really is fun. Evan, too, teaches cooking classes in-home or at her kitchen. “I love trying different cuisines and enjoy learning new techniques and passing them along,” Evan says. 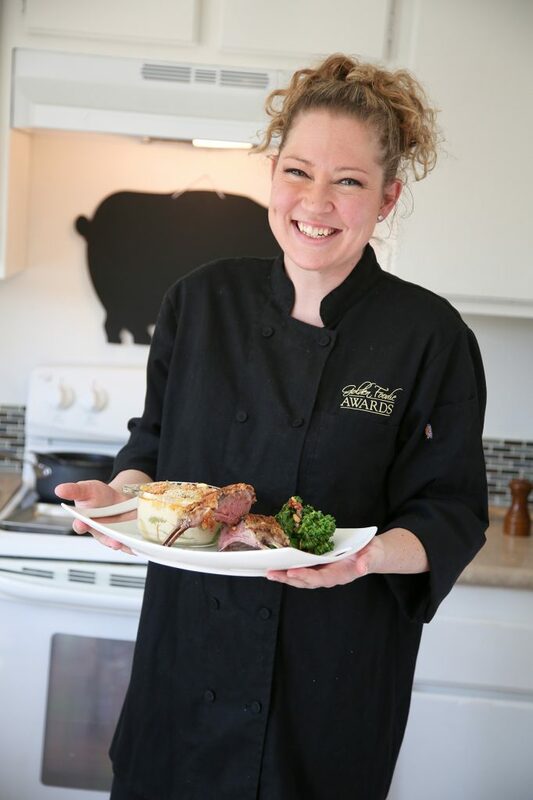 In addition, she offers three levels of personal chef service—she will deliver food or cook in a client’s home once a week or daily, and she can deliver meals that are raw and ready to cook at your convenience. Nicole also offers added amenities for her clients, whether it’s picking up extra groceries for them, teaching them how to make one of their favorite dishes she has whipped up, or preparing a special meal for their family, a significant other or friends. Plus, Nicole offers weekly grocery shopping and meal prep as an a la carte service for her clients in Orange County who want to cook themselves but need help with the logistics. “I also work with people all over the world as a Paleo coach, helping them transition to a healthier way of eating, cooking for themselves and making it easy while keeping them accountable to their new healthy habits,” says Nicole, who started her business when she moved to Laguna Beach in 2012 after growing disenchanted with her finance job and city life in San Francisco. Her new mission is to make the Paleolithic diet easy for anyone who wants to eat well and feel great. With these experienced and personable private chefs available in town, the tasks of preparing nutritious meals, grocery shopping and throwing a party just got a whole lot easier. So, whether you’re looking to follow a healthier diet, ease the stress of cooking daily meals, or need to host a special dinner, Laguna’s personal chefs are ready to come to the rescue in the kitchen.